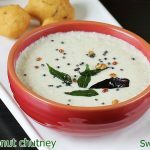 Idli chutney recipe – Sharing a simple South Indian chutney recipe for beginners that can be served with idli & dosa. The word “CHUTNEY” is derived from an Indian term “CHATNI” meaning crushed. In the earlier days, to make a chutney, ingredients were usually crushed to a coarse texture using a stone mortar and a hand pestle. Due to the slow crushing, the chutney would taste very flavorful & good than the one made today in a electric mixer grinder. Since coconut is widely grown in the coastal states of south India, it is one of the basic ingredients used in South Indian Cuisine. Coconut is always available in most homes, hence a coconut chutney along with idli or dosa makes its appearance most often. This chatni can also be served with masala vada, bonda and uthappam. There are a few different ways of making coconut chutney. Sharing the one which is made with just raw ingredients, no roasting but yet tasty. So it can be prepared under 10 mins. 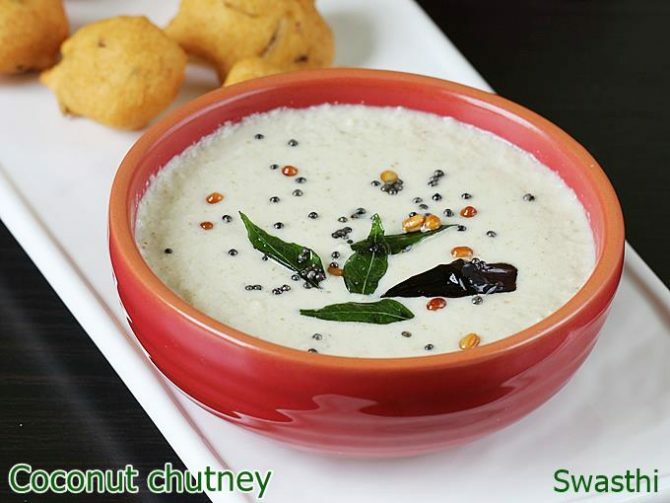 Idli chutney – South Indian coconut chutney is a simple delicious side made to accompany breakfasts and snacks. 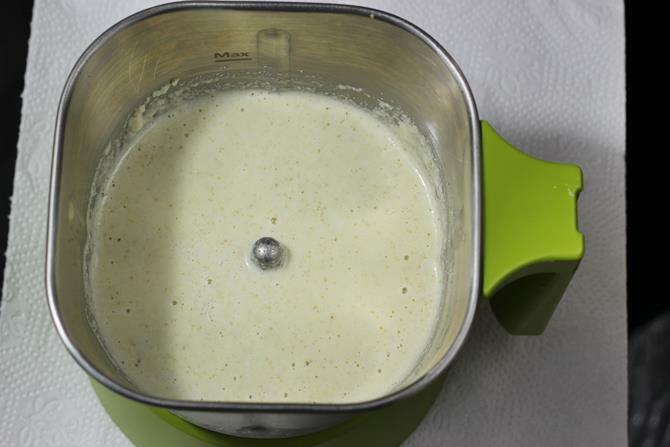 This chutney for idli, dosa can be made in only a few minutes. Most commonly fried gram is used to make this chutney. 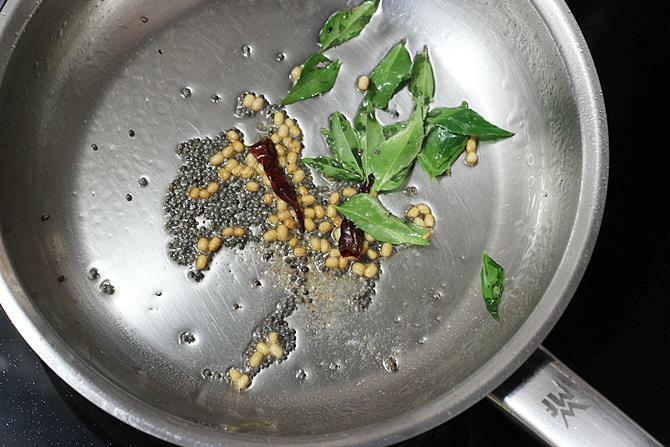 However if you do not have fried gram, then dry roast peanuts or chana dal and use. 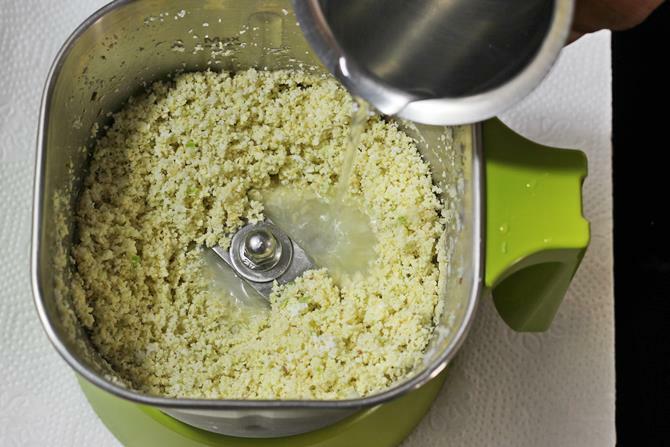 Add chopped or grated coconut, fried gram, garlic, salt , chili and cumin to a blender jar. Blend well adding just 2 to 3 tbsps water. Scrape the sides and add more water to blend and make a thick smooth chutney. If using frozen coconut then add warm water. For tempering heat oil in a pan. Add cumin, red chili and urad dal. Fry until the dal turns golden. Then add curry leaves & hing . Pour it to the idli chutney. 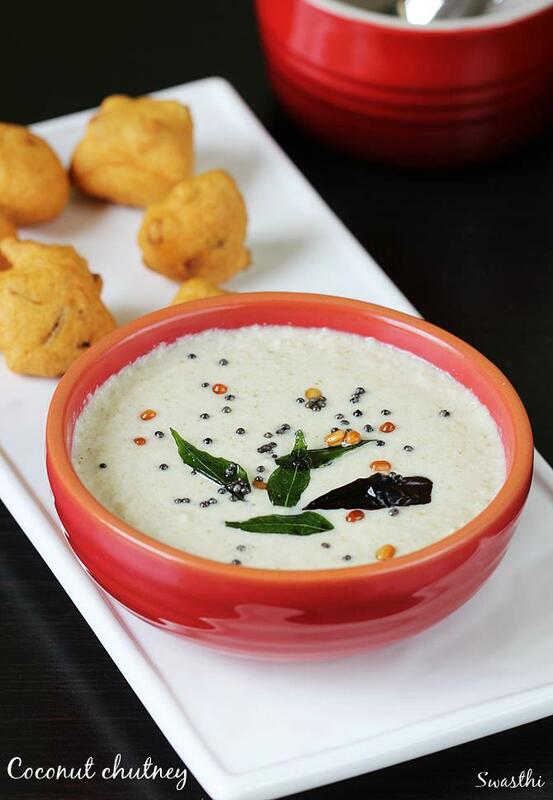 Serve with breakfast like idli, dosa, uttapam, pongal or snacks. If you prefer to store the chutney in the fridge, then add it to glass boxes with air tight jars. You can do a fresh tempering to the chutney when ever you want to use. 1. Add half cup fresh grated or chopped coconut, 2 tbsp. fried gram, half tsp jeera/ cumin, 1 to 2 green chilies, salt and optional ingredient garlic. Fried gram can be substituted with chana dal. But it has to be dry roasted on a tawa until golden, cooled and then added to the blender. 2. Grind these together first until they blend well. Then add water as needed and scrape off the sides. 3. Blend until smooth. Check the salt and spice. If needed add more chili and blend again. 4. On a low flame, heat oil in a small pan, crackle mustard. Then fry red chili and urad dal until golden. 5. Add curry leaves and hing. Switch off. 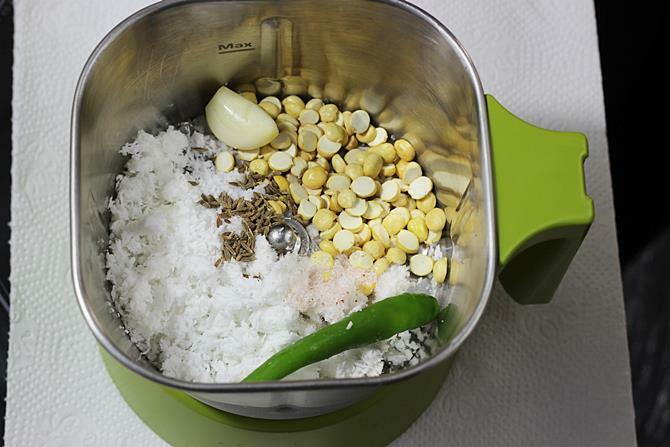 Add the hot seasoning to the idli chutney. 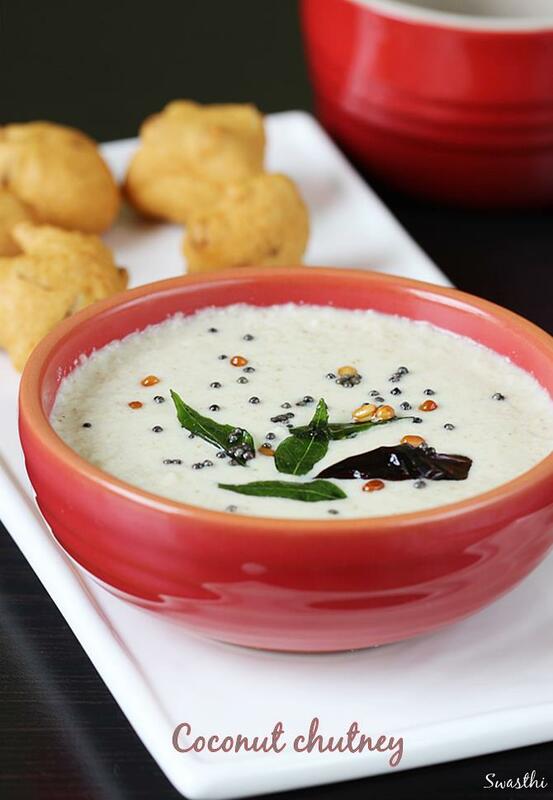 Serve with breakfast like idli, dosa, vada, pongal or any evening snack. Khup chan banvali thanks for chatani and other artical. hi is there no tamarind required in this recipe? Can we add some? Yes I dont use tamarind in coconut chutney. If you like you can use little. But better to skip if your idli or dosa batter has a sour flavor. Yes Anukampa do try it. Can coconut chutney be prepared using dessicated coconut? Or only fresh coconut has to be used for chutneys? 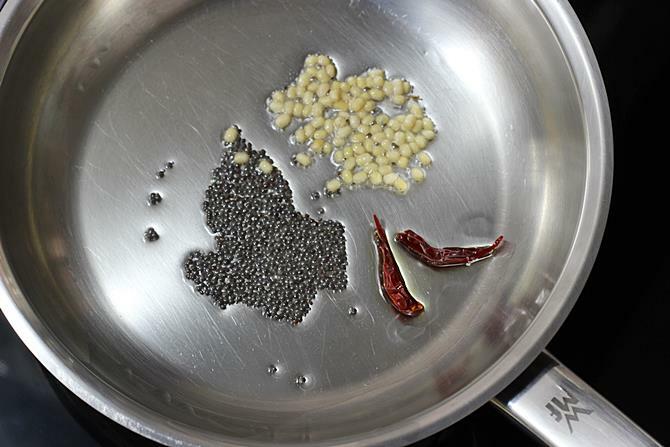 Urad dal is skinned & split black lentils also known as vigna mungo. You can also skip this in the recipe. Roasted chana dal is roasted fried gram. If you cannot find it, you can use chana dal ie skinned & split bengal gram. A wonderful coconut chutney recipe. Thank you for giving the option of roasted chana dal instead of bengal gram. Bengal gram is hardly available in Austria (Europe) where I live. My children love this chutney along with dosa. I lived in the south of India for six years. I adore your recipes. Thank you. Thanks for the compliments. Happy to know your kids love this chutney. all the recepi are easy & yummy..
Coconut chutney is the main food item in south Indian food.It tastes delicious with dosa and idli.Thanks for sharing such a delicious recipe. Very nice photography. Loved it.